The Fitzroy Gardens playground is a popular playground in the middle of Fitzroy Gardens. The gardens are located off Clarendon Street in East Melbourne and you can enter from Grey Street. This is a small yet fun playground with a cool dragon slide, a giraffe swing and a small sandpit and we've been told the dragon glows in the dark! 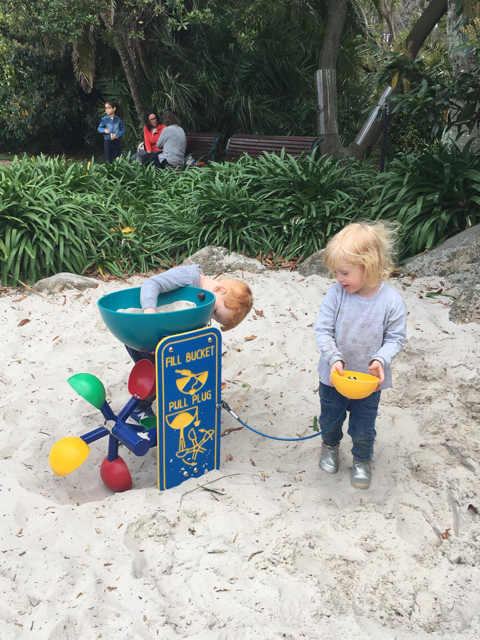 Kate's little ones love this playground and recently shared these cute pics on the blog. 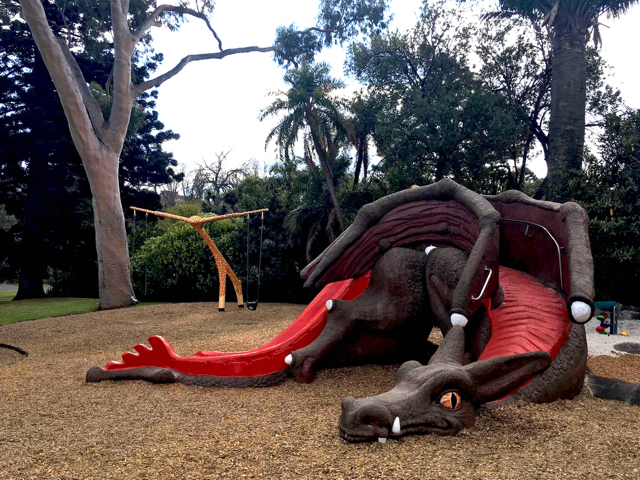 The dragon is a fun part of the playground where little ones can walk up the spine of the dragon and slide down his tail or climb all over the dragon's head and body and little ones can even squeeze and pass through the middle of the dragon too! The dragon is not the only fun thing in the playground. Little ones can swing off a giraffe's ears or arms (we're not sure there) but nevertheless it's a lot of fun and it looks very cute! There is open grass and a lake near this great playground where you and the little ones can enjoy running around, play with a ball, frisbee etc and enjoy a picnic by the playground too. 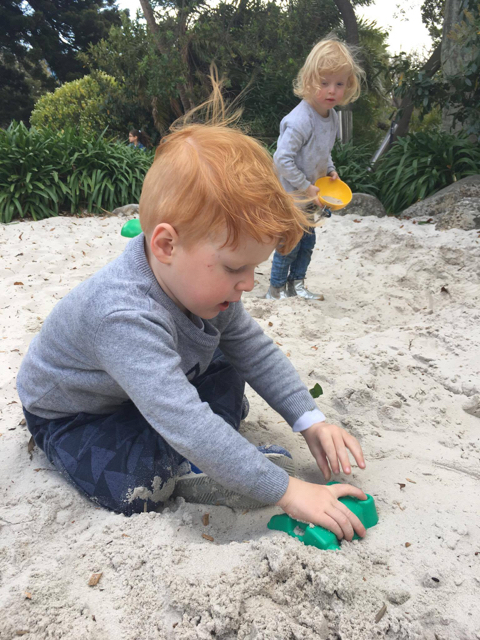 The sandpit is a lot of fun so don't forget to bring a bucket and some spades and some sand toys or even trucks if you can fit everything in the pram! As always kids will find something else to do beyond the playground so let them climb up trees if they want to - anything for them to burn all that energy! 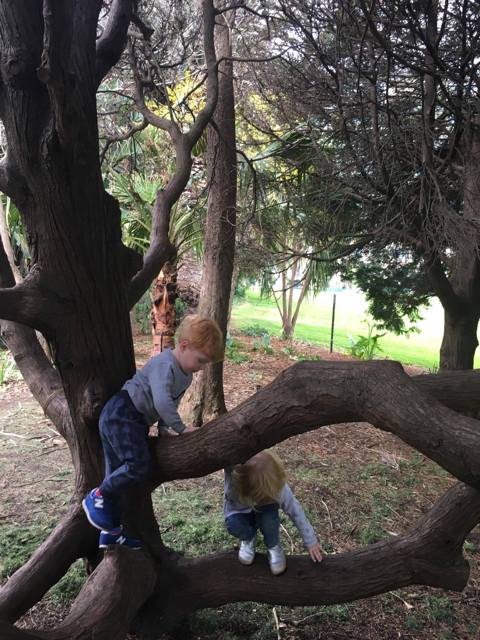 This small playground in the middle of Fitzroy Gardens is perfect after a stroll around the gardens and the lake - we love it! Thanks for the pics Kate!